10:45 “Introduction to MNDs” by Dr. Dimitra Papadimitriou, Co-Investigator of NO-MND, Biomedical Research Foundation Academy of Athens, Greece. 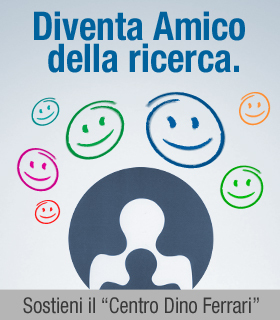 11:45 “Axonal and synaptic genes with altered expression in human Spinal Muscular Atrophy motor neurons: molecular and therapeutic implications” by Dr. Federica Rizzo and Michela Taiana, Stefania Corti Laboratory, Milan University. 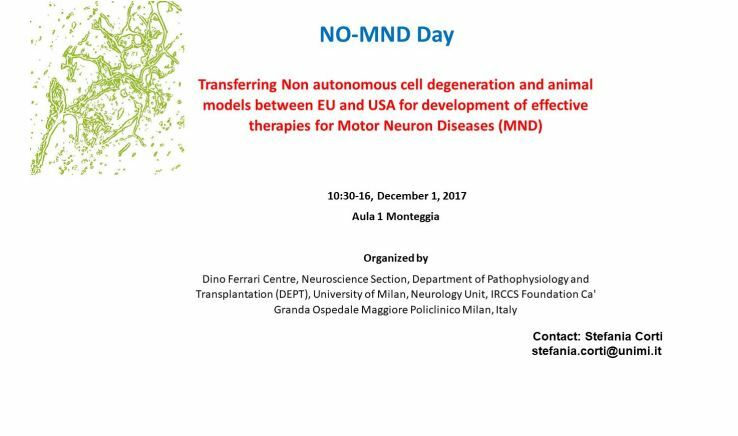 12:15 “Studying and modelling molecular mechanisms of neurodegeneration in Motor neuron diseases” by Dr. Paola Rinchetti, Stefania Corti Laboratory, Milan University. 14:15 “MiRNA profiling of ALS iPSCs and iPSC-derived motor neurons: molecular and therapeutic implication” by Dr. Mafalda Rizzuti and Dr. Valentina Melzi, Stefania Corti Laboratory, Milan University.